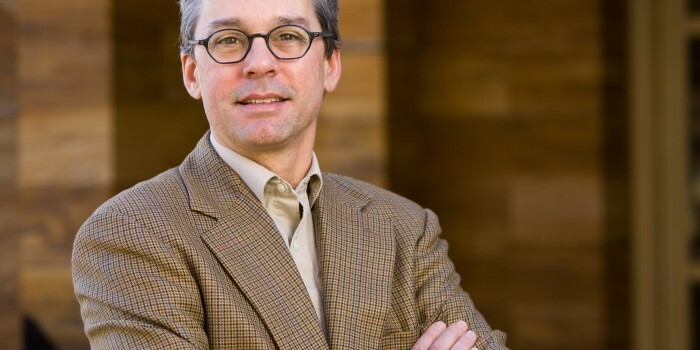 Professor Mark Hall, director of the Health Law and Policy Program, is quoted in the following editorial originally published in the Hendersonville Times-News here about research he completed with Edwin Shoaf (’15) on the costs and benefits of Medicaid expansion for North Carolina. When journalists write about social issues such as North Carolina’s refusal to expand Medicaid to provide health insurance to about 500,000 residents, it’s easy for that number to seem abstract. Who are these folks who fall into the “Medicaid gap” created by the state’s failure to act? The answer is, they are our neighbors — folks like a single parent working part time in a fast-food restaurant for $7.25 per hour whose income is too high to qualify for Medicaid as it now is configured, but not high enough to enable her to get subsidized coverage under the Affordable Care Act. Another is a grandmother in her 60s who can’t afford to pay her entire month’s income for health insurance. Staff writer Beth De Bona’s article in Thursday’s newspaper brought home the problems with the half-baked health care reform now being experienced in North Carolina and other states that chose not to expand Medicaid. As a protest against Obamacare, many Republican-controlled states opted out of a key part of the law intended to provide health care coverage to most Americans. The law was designed based on the assumption that states would expand Medicaid to cover folks who fall into the gap. While 30 states and the District of Columbia have done so, North Carolina remains among those that have not. Unfortunately, that’s not likely to change in this election year, Mark Hall, a professor of law and public health at Wake Forest University and a national health care expert, told the Winston-Salem Journal last month. The federal government has pledged to pay 100 percent of the cost for the first three years, after which states are required to pay 10 percent. But Republican legislative leaders don’t trust the feds to keep their promise and warn the state will end up paying more in the long run. They refused to consider expanding Medicaid until reforms of the present system are implemented. Last September, the General Assembly approved Medicaid reform legislation. Rather than pay fees for each service provided as it previously did, the reformed system will pay a set amount per patient. This “capitated” system is designed to move the risk for big cost increases to insurers and away from the state. Now that these reforms are in place, legislators should reconsider withholding health care coverage to the state’s working poor. As we have stated repeatedly, these folks will get care when they get sick, either through a community-based clinic or at an emergency room, the most expensive care. Those costs are constantly shifted, causing rates to rise for folks who have insurance. A 2014 study by the nonpartisan Robert Wood Johnson Foundation and the Urban Institute stated North Carolina will lose $51 billion and 20,000 jobs through 2022 if it continues this course. It’s a shame that low-income residents will have to continue to go without health insurance, and it’s costing us all.